Overweight and confused about why NOTHING you've done has worked. And it frustrates me to no end because I know first hand that inability to make progress in this area can be VERY frustrating. Especially as I know you have likely been successful in many other areas of your life including your career, family, and relationships. Chances are, you have have achieved a great deal of progress in those areas. But when it comes to mastering your own body weight you are much more likely to find yourself in a constant state of struggle. Something that you think should be easy to master continually defies your best efforts to get on top of it, doesn't it? So please spare a few moments of your precious time and stick with me here. All I ask is that you let me impart to you these coveted truths that I hold within and if you do, I know that this very day will mark the turning point you've been yearning for - YES - I'm that confident! You see, I'm not going to tell you about yet another diet or exercise plan. There are plenty of those available to read. And, the truth is, practically any of the good ones will help you lose weight under the right circumstances - but "right circumstances" is the operative phrase here. The critical problem with most weight loss programs is that they don’t dig deep enough to determine your personal circumstances - instead, they address the masses. In essence, they focus on the superficial, "one-size-fits-all" approach to fat loss... instead of dealing with who YOU really are and WHY that's even so critically important. I get it - and I know you do too - if you reduce your food intake and exercise properly you'll lose weight. But let's face it - if it was that easy we'd all be fit, fabulous and full of energy and we'd have no need to ever visit this subject again. But the very fact that this is far from the case (in epidemic numbers, mind you) tells us that there's something missing and that "something" is the missing piece to the fat loss puzzle that has been consistently shoved aside by all the gurus for years! It's true. And while you can't eat an unlimited amount of anything you choose and expect to lose weight, even a sensible diet and exercise plan will fail if you have a weight loss failure "mindset." Yes! That's where losing weight starts - IN THE MIND! And frankly the complexity of this reality is why the gurus have steered clear of even going there. It's far easier to inundate you with meal plans, exercise routines, calorie counting, (and, yes - even pills) than it is to delve into the inner depths of your psyche. But back in the early days - like so many others - I bought into the whole "eat less, move more" mentality and by my late twenties I'd been struggling for years with one diet after another. So much so that at one point I even became an aerobics instructor with the grandiose plan to help others while motivating myself at the same time. When you get all worked up doing long, aerobic routines, your body tells the brain that "your facing a danger"
The brain tells the body to "run, jump and pump" and to support this, the brain makes sure to send energy to the muscles. This is often called "being in the zone," or "feeling the burn." The brain relaxes and says, "Shew, we survived that threat! Now, Body: cool off and slow down. 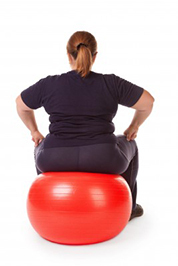 Fat Cells: when next we get some calories, store 'em up for us as an emergency reserve." 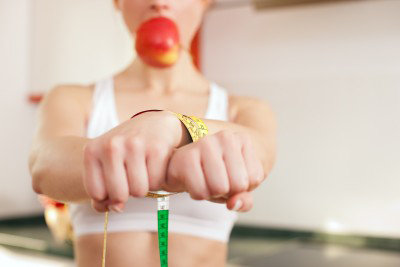 Basically, the next time you eat after the workout, your body's metabolism is lower and you store fat! In fact, the more you work out, the more "urgent and dangerous" the situation seems to your brain and the more it lowers your metabolism when you're at rest. I learned more about psychology and physiology. I learned why no "diet" ever worked and that really I was better off eating more good things than LESS of everything. And that's why I created..
... So no one else, especially YOU, would have to experience the frustration and possible long term complications in the pursuit of your perfect body! Make no mistake about it though - this is not a "bible" of the spiritual variety - nor will it conflict with ANY theological beliefs. 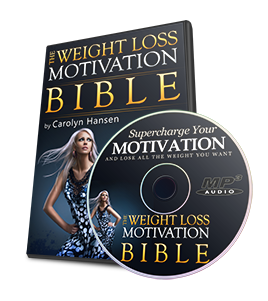 The Weight Loss Motivation Bible leverages the power of your MIND, and will become your nutrition and fitness guiding light - a blueprint or owners manual for your subconscious that will lay out the path to achieving ALL that you desire! You won't beat yourself up for not succeeding with your prior weight loss attempts. To the contrary, you will discover why it happened and how to eliminate making the same mistakes in the future. You'll no longer be tempted change course and buy into the promises of the next fad diet that comes along because you will have already disovered the sensible approach to weightloss and have the faith in yourself to maintain your resolve in the course we'll set together. You won't beat yourself up emotionally for occasionally cheating. Instead you will embrace your new confidence that will allow you to get back on track seamlessly. Your motivation won't vanish like it has in the past. Instead, you will embrace how empowering it is to maintain high levels of motivation that have become second nature daily. You won't fall prey to negativity from others who attempt to undermine your efforts to get into shape. To the contrary, you will be driven by your own internal guidance system..
You won't waste one more dime on an endless supply of weight loss products promoting empty promisest because you will embrace the reality that you already possess the most effective weghtloss weapon ever and how to leverage it to achieve all that you desire! What you WILL do is finally understand how to lose the "fat mentality" that works as hard to put your weight back on as you work to keep it off. TODAY will be the day that you finally win the battle that's going on right now in your head. And with that battle won, you will have successfully taken the most important step you have ever taken to date, and one that will stay with you permanently - I absolutely guarantee it! Why it's okay if it takes even 3 months to perfect your personal meal plan (Pg 33). You can't use Jenny's meal plan, someone from Seattle's, or one printed off the website. But what's so great about that is, because it's perfect for you, it will have all your favorite foods and you will gleefully look forward to each and every satisfying meal, each and every day. 3 Body Transforming Benefits of Higher Self-Esteem--and how to get it. (Pg 11). You'll feel better about yourself, so you'll do better for yourself...which in turn will make you feel better about yourself, again! Finally, you'll be free from the vicious cycle and onto the vivacious cycle. How an 'imaginary' button can protect you from negative thoughts (Pg 52). Never again will you be victimized by the ugly, spiteful comments of others and, more importantly, those from yourself. With this technology, you'll train your brain to detect the negative and activate the positive--literally burning new, "pro-you" neural pathways. 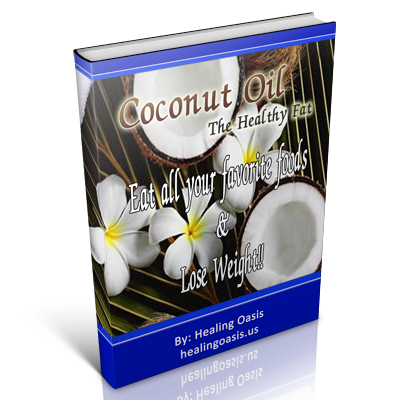 The shocking truth about 1000's of diets available - it's not what you think. (Pg 4). A 2-question Self-Quiz that makes your thoughts release your fat (Pg 41). It's like the "real you" that is hidden underneath the flab finally gets to show off the real you and what's so great about that is, you'll never go back after you live your truth aloud. How "Having More" in every area of you life makes you weigh less (Pg 73). You've always known intuitively that you can't stick to a plan where you have to give up this and give up that. Finally, a plan you can stick to because it's based on abundance rather than scarcity. The dangers of the "Yogurt" replacement method of reducing calories. (Pg 8). You've seen the commercials where someone replaces a higher calorie choice with a light yogurt, but did you know that can actually make you fatter? You'll learn why and how to avoid it with The Weight Loss Motivation Bible. "...Now, I Feel Good About My Body..."
"This book has made a difference to my life." "I have changed my attitude to so many things... I'm a new person." Because... "[The Weight Lose Motivation Bible] is not just about food and it's not just about my weight." "...[it's] about where I'm going with my life. Thank you." And, as you internalize the system and get this, you'll free yourself from harmful "half-measure" and "quick fixes". "...For the First Time In My Life, I'm Not Using Any Weight Loss Supplements..."
Ray Cowie still enjoys a protein shake, but now he doesn't get the "shakes" from dangerous weight loss drugs. He writes: "With Carolyn...I soon achieved my short term goals." "I'm going to continue to train my mind...with the help of this wonderful book." "For the first time in my life I'm not using any weight loss supplements, other than two protein shakes a day and I'm still losing weight faster than ever before. Carolyn's book reminds us that there aren't any new fangled diets or magic pills that can achieve these types of results and she's right..."
"Thanks to Carolyn's [Weight Loss Motivation Bible], I've learned how to motivate myself and now have the energy to keep and maintain a great balance between my career, my family life, [and my health]." "Believe me, if I can do it; anyone can." "...No More Diets for Me..."
"I am guilty of going on one diet after another... none of them worked. Every time any weight I did lose came back just as quickly again" (Often around the holidays). "After just a few weeks and right smack in the middle of the Christmas holiday period I've lost weight and...it is going to stay off." It's amazing how quickly you can have results with the right information presented in the right way. 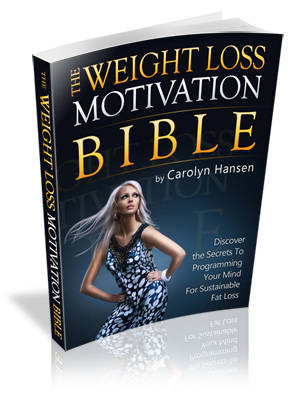 "...The Weight Loss Motivation Bible Summed Up, and Corrected 1000's of Complex and Contradictory Nutrition and Weight Loss Articles..."
"Taking the plunge with Carolyn Hansen's Weight Loss Motivational Bible turned out to be one of the best decisions I've made in my life." "[It] quickly changed my way of thinking about eating and exercising, which was difficult to [do because I had read] thousands of weight loss articles...over the years." 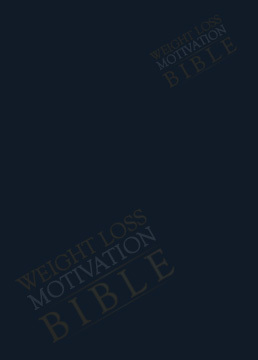 "By reading The Weight Loss Motivation Bible, I gained the motivation to finally stick with something. It was the most sensible advice I'd ever heard. If you'd told me I could transform myself [in] four hours... a week." "Now that I have confidence in my self image, I have more get up and go and I'm far more energetic, which has also made me more successful in all other areas of my life. 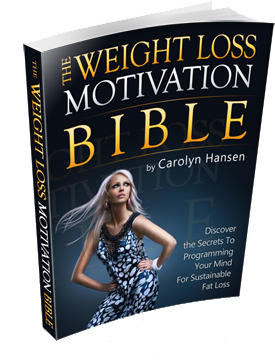 Carolyn, you're [Weight Loss Motivation Bible is] the best and I can't thank you enough!" Remember, it doesn't matter what you've done BEFORE! In fact, it ONLY MATTERS that you didn't get your brain working for you and that explains why other approaches failed for you. It's sad when people give up when the finish line is so close and the outcome could be remarkably different if you'd just change your direction. "My fear of not being able to stick with a new fitness program has been huge for me, but Carolyn's motivational training has given me the confidence to face any challenge. Carolyn's unique, time efficient system has changed my body, my mind and most importantly - my life." "I have affected other people that I know to get healthy and make changes with their own lives." "I gave up on having a trim waistline after having 3 kids some years ago. Never did I ever think I could have my best body ever. And in only 12 short weeks!" 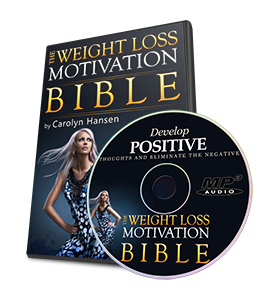 "Carolyn's Weight Loss Motivation Bible has completely turned my life around. Highly recommended." Only take actions that feel good in your body and to your life! Everything you need to know is right inside this book. You'll never have to get bad advice from people who talk the talk but don't walk the walk. Henry Ford said, "If you think you can, or you think you can't, you are right." Use Reality to Motivate You! With all this power included inside The Weight Loss Motivation Bible package, you can take control of your mind and your body right now for only $37 $27! That's a small investment for a lifetime of knowledge and a dramatic change in your health and well-being that you won't want to abandon! We’re talking about life changes so dramatic, so profound and so amazingly simple that you owe it to yourself to experience it first hand - I have been doing it for 20+ years - so I know what is waiting around the corner for you! To make your next step even easier, I'm going to pack in 3 FREE BONUSES for you that will simplify and take the guesswork out of the new fit and healthy body you are about to sculpt. 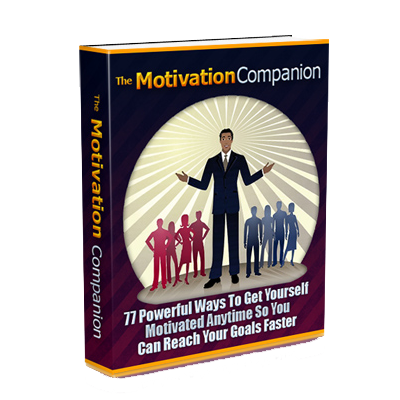 Using these 77 powerful tactics, not only will you be motivated to implement the strategies in The Weight Loss Motivation Bible, but in addition, you will learn how to do anything else in life you desire - elevating your feelings of accomplishment and making failure in reaching your golas non-existent. You'll get my exclusive Weight Loss Motivation Bible - comprising over 20+ years of time tested results with fitness and weight loss clients just like yourself; 7 Strategic Mind Messaging MP3 Audio-Sessions, and three Fast Action Bonus - along with my guarantee that if you aren't TOTALLY, 100% Satisfied with this incredible package, I will refund your entire investment, no questions asked! Yes Carolyn! I'm ready to for you to show me how to begin re-programming my mind so that it re-forms my body. I want to begin using these simple strategies to quickly identify and permanently rid myself of what's been holding me back until now. I'm ready to be the slim, fit, healthy, feel-good person that I evolved to be. Yes, I want my life tomorrow to be better than it is today and I am ready for this instantly available download to show me how! Instant Access to the life changing Weight Loss Motivation Bible that will show me how to begin reprogramming my mind so that I no longer need to struggle with my body weight. 7 Strategic Mind Messaging MP3 Audios with powerful visualization sessions that will reinforce the concepts in the Weight Loss Motivation Bible. All the Additional Bonuses you have assembled for me TODAY! While I try as hard as possible NOT to make promises on this page, here's one you can take to the bank! If after reading The Weight Loss Motivation Bible you still don't think my book lives up to the promise, or you are dissatisfied for any reason you can simply email me to request a prompt refund. Seriously. If you turn out to be one of the few for whom my methods just don't strike a cord, then I don't want your money. Disclaimer Regarding Expectations of Results - Please be advised that due to the nature of the products which Sustainable Fitness Solutions and Carolyn Hansen are selling no results can be promised. It should therefore be assumed that no results are to be expected as a result of one's purchase of these products. Disclosure Regarding Endorsements and Testimonials - Comments that appear as endorsements or testimonials have been received by real customers who have no material association with the vendor. They have provided opinions based on their own experiences with the product and have not been paid for their comments.